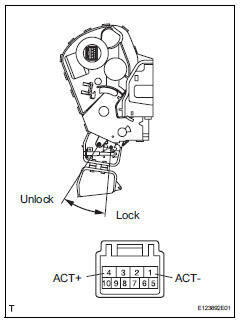 The main body ecu receives lock / unlock switch signals and activates the door lock motor accordingly. 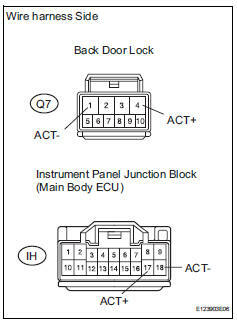 Apply the battery voltage to the door lock motor and check the operation of the door lock motor. Disconnect the q7 door lock connector. Disconnect the ih junction block connector.